Dr. Aurélien was recently appointed as the Director for the RN-BSN program at Palm Beach State College. Prior to this promotion, she had been a tenured Nursing Faculty at the same institution for 12 years. She feels very privileged to have an impact on the next generation of registered nurses. She also practices as a Family Nurse Practitioner for Florida Community Health Centers in Pahokee. Dr. Aurélien has been a part of the Nursing Profession for over 25 years. Her areas of practice range from primary care, to long-term care, medical- surgical, to maternal/child health, pediatrics and school health centers (adolescent population), etc… She serves as an international/visiting nursing faculty at the Faculté des Sciences Infirmières de Léogane (FSIL) in the Baccalaureate and Master’s programs in Haiti. Dr. Aurélien is a national and international speaker on topics related to nursing education and nursing workforce diversity. Dr. Aurélien holds a Doctorate in Education (focus: Leadership Educational Administration) from The University of Florida in Gainesville, Florida, a Master’s of Science with a Primary Care focus from Northeastern University in Massachusetts, and a Bachelor in Science Nursing from UMASS, Boston Massachusetts. In 2009, she was nominated for the Palm Healthcare Foundation “Nurse Educator” Award and in 2007 for the Bravo Award from Palm Beach State College. Her research focus is on the factors that influence the persistent underrepresentation of racial/ethnic minorities in the registered nursing workforce in the US, which in turn, perpetuates the healthcare disparities in minority populations. Dr. Aurélien is a long-time member and volunteer for T. Leroy Jefferson Medical Society. She is a active member of the TLJMS Health Fair Committee. In addition, she is the co-editor for the Haitian American Nurses Association (HANA)’s bi-annual newsletter. She co-chairs the National Black Nurses Association (NBNA) Women’s Health Committee and together they are currently drafting a position paper related the issue is shackling of incarcerated women (of color) during the labor/delivery period. 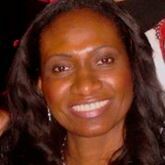 She is the immediate past President for Palm Beach County Black Nurses Association (PBCBNA) and is active in many other local and regional nursing and non-nursing organizations, and serves on the Board of regional and global corporations/organizations. Dr. Aurélien enjoys the beach (sunrise), reading, traveling, volunteering, and spending time with her family and friends.